At &Wealth, each member of our team is at-the-ready to assist your legal team however possible. From cash-flow analyses and net worth statements to tax projections, asset division strategies and post divorce investment management, our team of experts is trained to provide you with the tools you need from beginning to end. 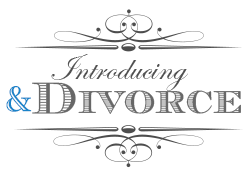 The reality is – divorce gets complicated, financially and emotionally. From negotiations to settlements, even the most amicable of separations can become overwhelming in the midst of divorce. &Wealth offers a unique blend of financial expertise, financial planning and decision guidance along the way to help you and your attorney reach the best outcome possible. Our goal is to provide every client with the appropriate analysis and adequate support needed to make sound financial decisions and avoid costly mistakes. Gathering the necessary data to help make well-informed decisions. Helping clients understand the financial consequences of their options – both short and long term. Leveling the playing field when clients may have limited financial knowledge or experience. Constructing the Historical Lifestyle Analysis™ to understand past income and expenses of the family to help inform support levels and appropriate budget going forward. Providing comprehensive reporting, analysis, planning and subsequent strategies tailored for you and your needs. © And Wealth Partners LLC, 2019.